"A Nephite by birth, who had once belonged to the church of God but had dissented from them." He was among those Lamanites who imprisoned Nephi and Lehi, sons of Helaman. Then, after depriving the prophets of food for many days, Aminadab and other men of authority among the Lamanites went forth to slay them only to see that the prophets were surrounded by a protecting fire but it did not burn them. The Lamanites, on the other hand, were surrounded with darkness that they could not escape from. 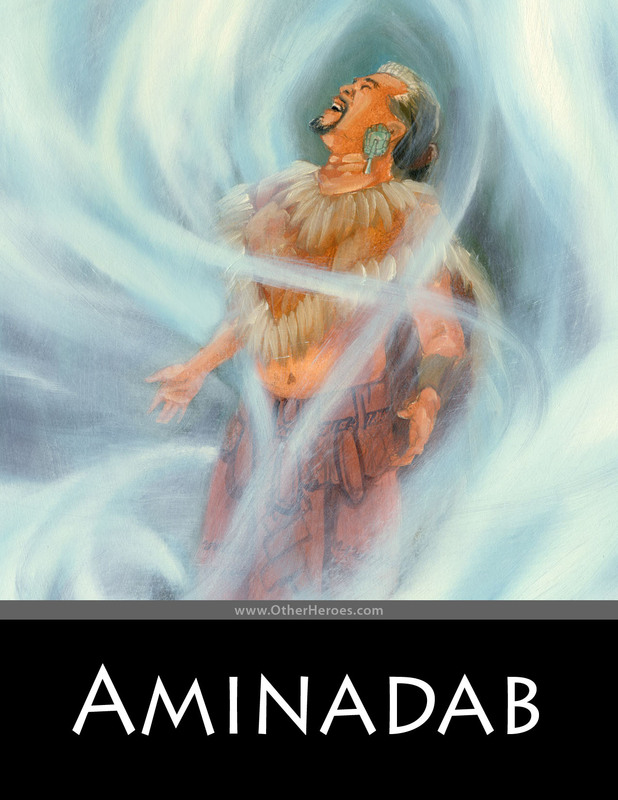 Aminadab was the first to remember what had been taught to them by Alma, Amulek and Zeezrom (perhaps while among the Zoramites). Aminadab reminded the others of that message of Christ and as they prayed and repented, they found that they also had escaped the darkness and were surrounded by a pillar of fire and "they were filled with that joy which is unspeakable and full of glory." Aminadab and about three hundred others who had experienced the miraculous event in the prison, ministered and preached to the other Lamanites what they had seen and heard. "The more part of the Lamanites were convinced ..., because of the greatness of the evidences which they had received."